Genre: Racing. Other versions: PS4; PC. ​Many wondered what would happen to Need For Speed, one of EA’s longest running franchises, when it took a year off in 2014. Though it’s now becoming more common with rising costs of games and franchise fatigue being caused by yearly instalments with little changes, it was deemed a sign of the series tiring, and lacking new ideas. But in 2015, Need For Speed has hit eighth gen consoles, stripping away any excess and going back to an underground style, while retaining social aspects from previous games. Unfortunately, a couple of serious drawbacks and a lack of care might mean another reboot is in order. Need For Speed centres its racing around five distinct styles: Speed, Style, Build, Crew and Outlaw. 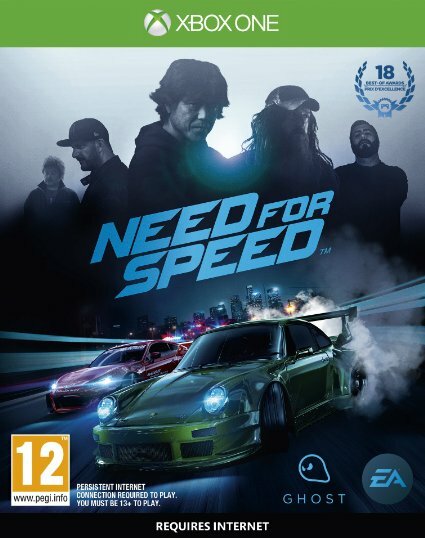 Speed is all about fast times, Style consists of drifting and Gymkhana events, Build revolves around tuning your car to perfection, Crew relies on completing events as a cohesive unit and Outlaw focuses on police pursuits. To progress in NFS, you complete missions in each division and progress through each story arc. After certain events, players will be treated to live-action cut-scenes with an insane amount of product placement, hokey acting and dude-fists. It’s cringe-worthy, and unfortunately, not in a way that's funny: just purely irritating. This makes progressing through NFSs solo campaign a chore. You lose motivation very quickly, as bland objectives revolving around each style fail to entertain. For example, the Outlaw will ask you to drag a police pursuit out for five minutes then escape. Though different missions may have different tracks, event types and challenges, they begin to blur into each other thanks to bland objectives and a night-only cycle which leads to a lack of visual distinction. Racing in the Speed set of missions is barely different to racing in the Build. By the time you reach the ending credits, you feel deflated. There are a lot of different frustrations to this new Need For Speed though. Like The Crew, EA force an always-online status, meaning those lacking internet cannot access any of the game. What’s puzzling is that there’s very little involvement from other players, bar maybe other cars crashing into you during races. And weirdly, you can play solo anyway but still must be online. This means you are at the mercy of the servers, and weaker internet can cause the game to disconnect frequently. The other pain from this is the inability to pause, which can result in longer races becoming a chore. The actual multiplayer lacks any flair, but daily challenges do add a small layer to replay value. But the main problem with Need For Speed, and what ultimately drags it into mediocrity, is the core racing lacks care. There are a lot of minor issues, such as the lack of manual transmission, inconsistent physics and weird crashes. But the major issues weigh down, and that’s the rubber-banding A.I. You could be miles ahead, but one crash will lead to all racers catching up and overtaking you. The aggressive A.I. can also be irritating – particularly during Drift Train events where aggressive A.I. is odd because all the drivers are, essentially, working together. Racing, more often than not, is more frustrating than fun. And police chases don’t fare much better, with lower wanted levels being boring and higher levels becoming borderline impossible due to the aforementioned flaws with the driving. Most Wanted this is not. 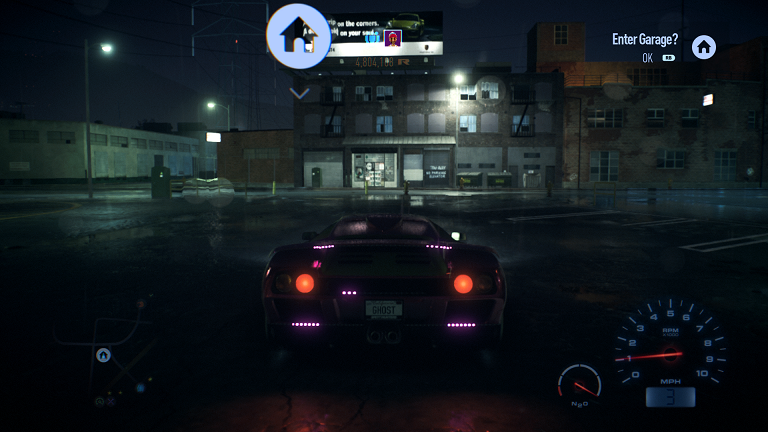 Need For Speed tries to emulate the older Underground games in some respects too. The car-customisation of those games is present here, and it’s about as deep as you’d expect. You’re able to apply different shades of paint, decals and tint your windows, and it’s flexibility allows you to be pretty creative. There are also performance parts which unlock as you progress, and cost money earned from races, and your car’s handling can be tuned to precision or drifting, depending on the events requirements. All the elements are tied together with a Rep system, which rewards points for feats in specific styles, such as High Speed. It can be a fairly absorbing system, but it can also lead to you lacking decent vehicle parts to progress through races, causing more frustration. If nothing else, Need For Speed looks hot. Everything about the game, from the smooth car models to the detailed open-world city, look great, and though the constant night-cycle can leave you feeling like you have insomnia, it still benefits from gorgeous lighting from street lights. The audio is not so hot though. The soundtrack is headache inducing, featuring the grimiest of techno music which forced me to put the soundtrack on mute. The acting and dialogue during cut-scenes is incredibly cringe-inducing, and bar the engine audio, much of the game’s audio is a misfire. 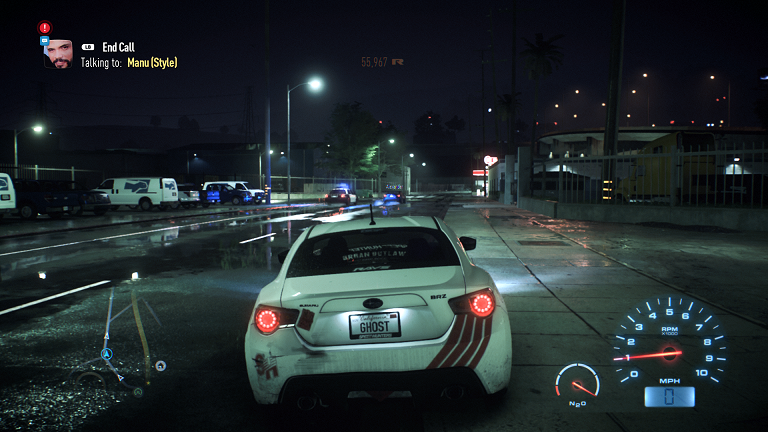 Need For Speed is a disappointing reboot, lacking the care, fun and excitement of older games it tries to mimic. A jack-of-all-trades but a master of none, the constant frustrations build into a mediocre whole. The always-online is unnecessary, the solo play is a bore, online doesn’t fare much better and the game is just boring. There’s nothing broken or unplayable about NFS, but it also lacks any kind of precision. Those who pine for the days of Underground, and even Most Wanted to a degree, might get some fun out of this one. But for anyone else, the frustrations are just too great to bear.